This device is used to connect your telephone handset to your PC via USB, to record telephone conversations. 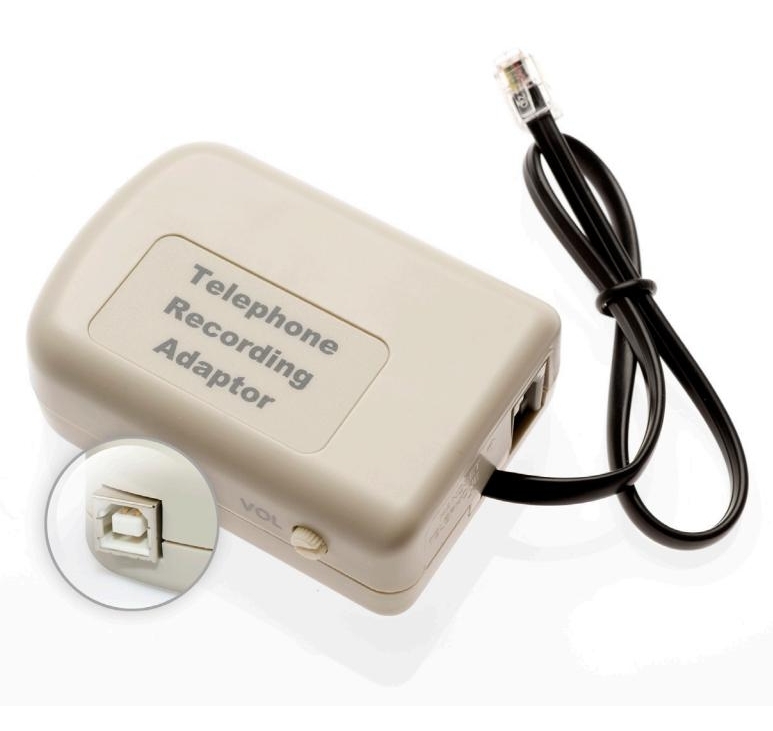 It is similar to the above USB telephone recording adapter, but enables pre-recorded announcements to be played to the telephone line, such as "..this call will be recorded". The Record/Announce Adapter is recommended for customers that are legally required to announce that the call is being recorded for sercurity or quality purposes. 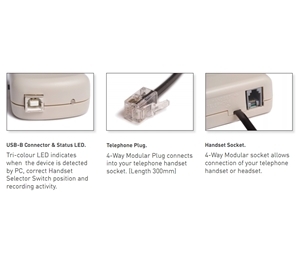 Connects to the handset rather than the line so it can be used on digital or analogue phone lines and systems as well as IP Phones. 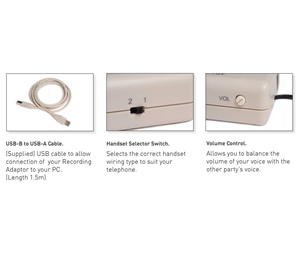 Allows recorded announcement or tone to be played over the phone line while recording. Very good quality audio (a top line transformer is used with anticlipping technology). Does not require batteries or Plug Pack, powerd from USB. Designed for PC (Windows 2000/XP) and Mac OS-X based Call Recording. Approved for use in Australia (ACMA) and Europe (CE).